When your customer decides to invest in a clay tiled roof, naturally they will need to consult you regarding which tiles will best suit their home, their tastes, and their budget. Choosing the right roofing material is paramount, especially with clay tiles, since the initial investment is higher than concrete coverings. With a vast range of clay tiles available, the choice can often be bewildering; so to simplify things, here’s SIGnature’s top five tips to help you choose. 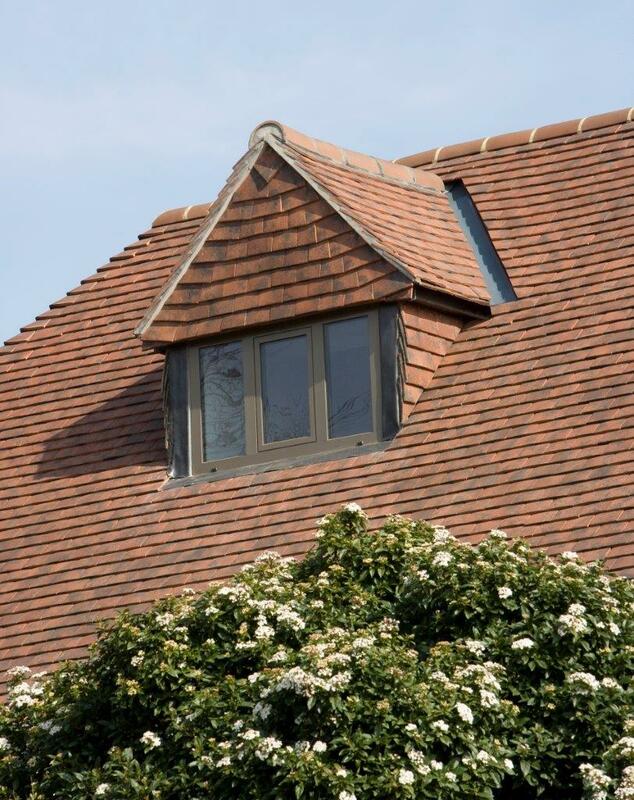 Decide whether modern machine made clay tiles or handmade tiles will best suit the property: whilst machine made clay tiles can be used for both contemporary and traditional homes, there is simply no substitute for handmade tiles where authenticity or conservation is key. These include high-spec custom homes, or sensitive restoration projects, where local planning authority requirements count. Budget may well be an influencing factor at this stage too. Consider the whole life costs: handmade tiles are an investment, not a cost, asthey stand head and shoulders above most mass produced tiles. In addition to their long life span and colourfastness, they lend charm and authenticity to any building, contributing enormously to the resale value of a property. Research the ranges and options available:clay tiles are synonymous with rich red roofs, however the beauty of handmade tiles lies in the array of shades that enhance the overall look. Speaking of colour, it’s important to ensure the tiles come with a complementary range of fittings. Quality pays in the long run: not all clay tiles are of the same quality, and you should carefully review the manufacturers’ certifications to ensure that you are purchasing products that will provide the lifespan you expect. You need to be confident that the tile will maintain its beautiful appearance over time and survive harsh frost, as well as wet weather conditions. Robust warranties are key: when making a life-long investment, it’s reassuring to know that the customer’s purchase comes with a warranty that will always be honoured. Should any problems arise further down the line, and support becomes necessary, it’s best to make sure that your supplier is still there to help, to say nothing of having an in-depth understanding of market and legislative compliance. Why not check out our SIGnature range of machine made and handmade clay tiles that are perfect for both new build and RMI projects? Featuring three distinctive ranges, this collection issupported by a meaningful warranty from SIG, a FTSE 250 company, giving both you and your customer 30 years’ peace of mind. If you’d like further details, give us a call on 01480 466 777 – we would be more than happy to share our knowledge of clay roof tiles with you. Alternatively, visit www.sigroofing.co.uk for further information and inspiration.